Among the most substantial citizens of which the United States can boast are those of German birth who have sought a home for themselves of the free soil of America. Prominent among this number may be mentioned Ernest Off, who was born at Lowenstein, Germany, being one of five children born to a successful physician of the Old Country, who served as a surgeon in the French army. 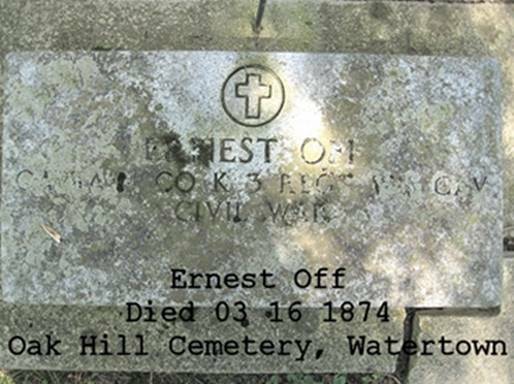 Ernest received a good collegiate education while growing up, and upon reaching manhood entered the French army, in which he held the rank of lieutenant. During this time he was in Algiers two years. 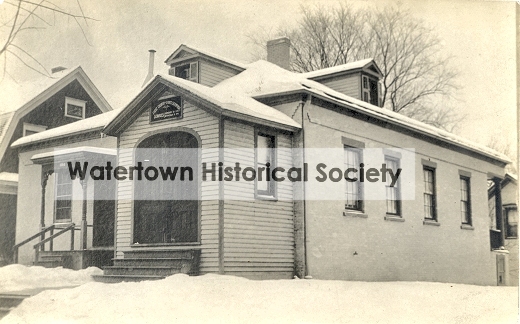 In 1848 he decided to come to America to seek his fortune, and upon landing on our shores made his way direct to Watertown, Wis., two miles west of which place he entered 160 acres of land. After a short time he opened a cigar store in the town, but sold out in 1856 to enter the office of deputy sheriff of Jefferson County. 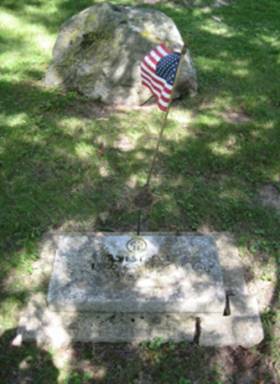 When the Civil War came up he responded to the first call for troops, raised Company K of the Third Wisconsin Cavalry, of which he became captain, and with which he served in Missouri and Arkansas. He was injured by his horse falling upon him, and was in the hospital in St. Louis for some time. He was honorably discharged at the close of the war, and returned home to engage in the restaurant business, which he carried on for a short time. 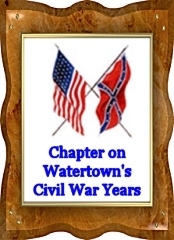 He was made city marshal of Watertown, was later elected deputy sheriff, and while discharging the duties of sheriff was called from this life, leaving a wife and three children, two sons and one daughter. Socially he was a member of the I. O. O. F. and the A. F. & A. M.
Portion derived from Memorial and Genealogical Record of Dodge and Jefferson Counties, Wisconsin, Chicago; Goodspeed Brothers, 1894. A handsome grove near the residence of Mr. Enos had been selected as the spot where the people were to assemble to hear the oration, and to this place the procession of Turners and citizens marched [at] about two o’clock, under the leadership of the chief marshal, Captain E. Off, formerly of Barstow’s cavalry. The captain had gained a high reputation, not only as a gallant officer, but as one of the most accomplished riders in the regiment to which he belonged. Heber Smith also built a home for Captain Off, this being among the first brick homes in the city and stood on the corner of S. Fifth and Spring streets, fronting on Fourth. Today the site of the post office.